Graph databases have their time and place but just because you can do something in a graph database doesn’t mean it’s ideal. Here, follow a journey taken from Mongo to Neo4j to Postgres. Postgres has had schemaless data types for years. With hstore, JSON, and JSONB there are various trade-offs, pros and cons, as well as the broader question of when to use them at all. It’s in Estonia on November 1-4. Need to crank out features faster? 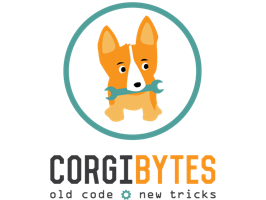 Corgibytes cleans up technical debt that gets in the way of rapid release cycles. One client doubled their productivity with zero new hires. Don’t let tech debt slow you down. Call the Corgis. Counts in Postgres tend to be slow, but if you need faster counts there are a few things you can use from sketch algorithms like hyperloglog to custom functions which can utilize indexes as shown here. A brief look at table inheritance in Postgres, if you’re not already familiar with it. Storing data in a JSON column in Postgres can be very handy but a bit more difficult to query than normal tables. This quick tip highlights how to query and filter if you have an array of data in a simpler way using some of the built-in json/array functions. pgBadger is one tool to help you parse Postgres logs and get insights into your database. Here’s a great primer to get up and running.